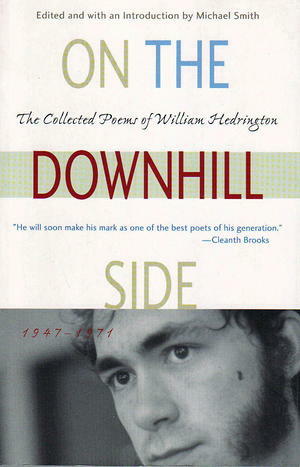 While some of his poems were published and received critical attention during his lifetime, this is the first comprehensive collection of William Hedrington's work in book form. These 80 poems chronicle Hedrington's life as he leaves his working-class home in the industrial Midwest to enter New College, an experimental college in Sarasota, Florida. This collection provides insight into both a promising life cut tragically short and the brief flowering of a brilliant poetic talent.